Product categories of Heart Flower Box, we are specialized manufacturers from China, Heart Flower Box, Heart Shaped Flower Box suppliers/factory, wholesale high-quality products of Flower Packaging Boxes R & D and manufacturing, we have the perfect after-sales service and technical support. Look forward to your cooperation! The Heart Flowers Box looks stylish, unique, especially if for the occasion which is romantic or a proposal of marriage. 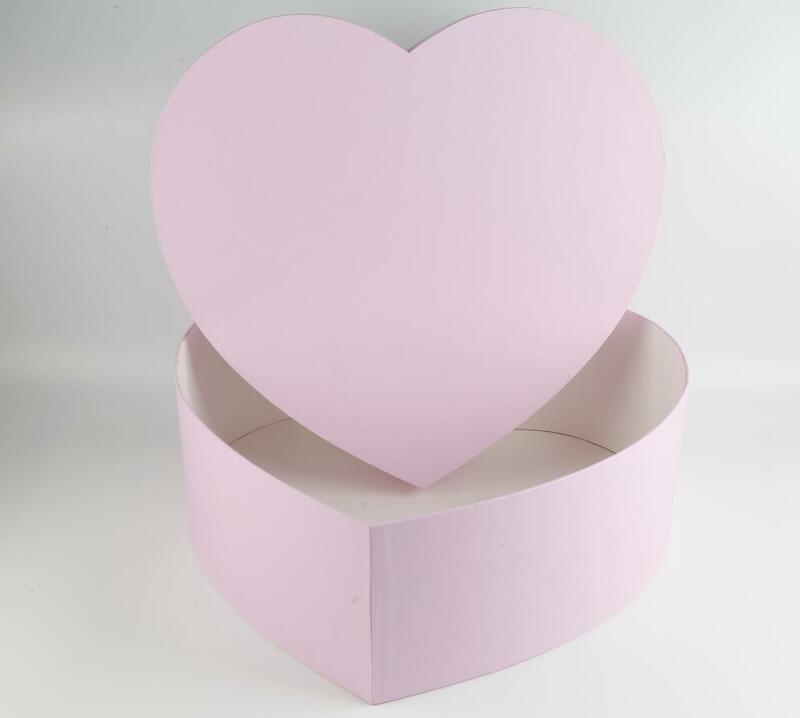 We can produce the Heart Shaped Flower Boxes in the quantities you need, of any size and shape, with the texture and the shade of color you imagine,material normally we use 800-1200 gsm grey cardboard with 120-157 coated paper,you can custom this box in size,color and logo printing,logo can be hot/cold foil stamping,UV spot/varnish,embossed/debossed etc,Welcome to inquire, we will provide you with the most favorable price and best service!